Yeru Bön Center is proud to announce The Door to Bön, its new media website for all things Bön. 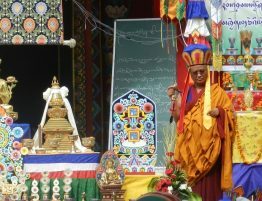 The Door To Bön’s mission is to bring the ancient teachings of Tibetan Yungdrung Bön to all who are interested in this authentic Tibetan spiritual tradition. 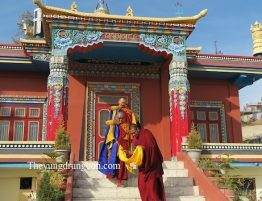 Yungdrung Bön provides an authentic spiritual practice and tradition which has endured for thousands of years. It also provides wisdom and methods to heal body, mind and spirit though mindful meditation, compassion, forgiveness and balanced living. The Door to Bön produces original, authentic media for the worldwide Bön community. 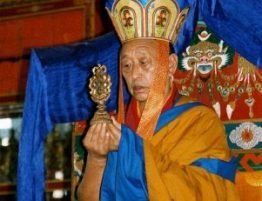 The Door to Bön is produced by Yeru Bön Center in Minneapolis, under the guidance of Latri Nyima Dakpa Rinpoche. Out the gate, The Door to Bön has two media offerings, Böncast and Voice of Compassion magazine. Böncast is the first podcast for the Bön community. 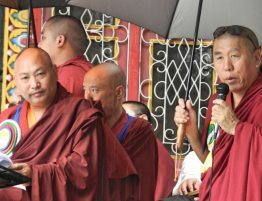 It is a monthly, hour-long talk show featuring Latri Nyima Dakpa Rinpoche and visiting Bönpo teachers. In it, we discuss Bön beliefs and how they fit into our daily lives. You can also write into the show with questions, comments, tips or information about Bön or community events… You just may get featured on the show. Write in at hello [at] doortobon [dot] org. Voice of Compassion is a quarterly digital magazine that has gone in and out of existence in the past, but is being resurrected in 2015. 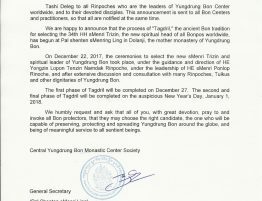 This is an online magazine assembled by volunteers from Yeru Bön Center featuring news, events, and articles about Yeru and the Bön community. We’ll absolutely accept submissions from all Bön communities. You can submit articles, upcoming events and Bön news to Voice of Compassion magazine by writing to hello [at] doortobon [dot] org. And please, if you appreciate the free content, consider donating to Bön Children’s Home here.